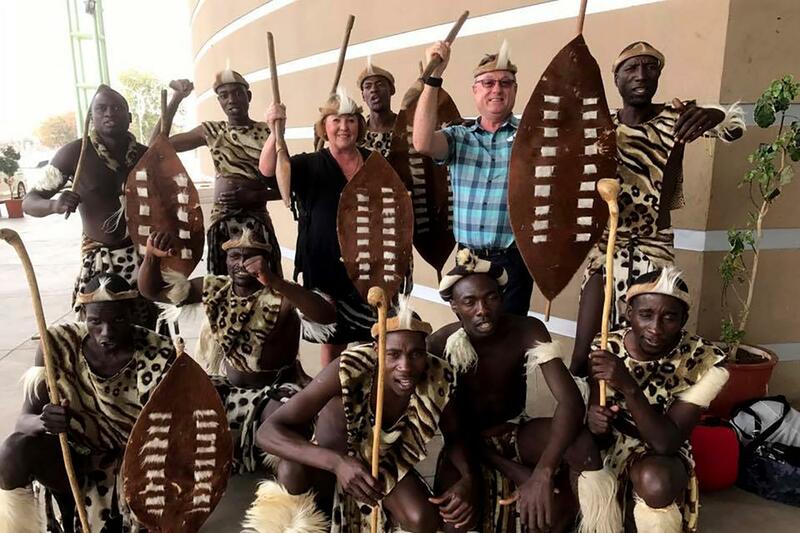 Zimbabwe, Botswana, South Africa, Lesotho: Starting at the iconic Victoria Falls Hotel, Zimbabwe, riding south through Botswana, South Africa and into the mountain kingdom of Lesotho before experiencing South Africa’s garden route back to Cape Town. Some of the highlights of the tour include: Riding with Charley Boorman and his friend and FGASA Field Guide Billy Ward, Victoria Falls “The Smoke that Thunders” and the Victoria Falls Hotel, Botswana’s Wildlife, The Kingdom in the mountains – Lesotho, The Sani Pass, Spectacular Drakensberg Mountains, Exceptional riding through the Baviaanskloof National Park, Exciting Game drives and Whale watching, the southernmost tip of the continent – Agulhas Point, Chapman’s Peak drive, Cape Town & the Cape Peninsula – finishing as we started, in luxury at the famous Waterfront – The Victoria & Alfred Hotel. 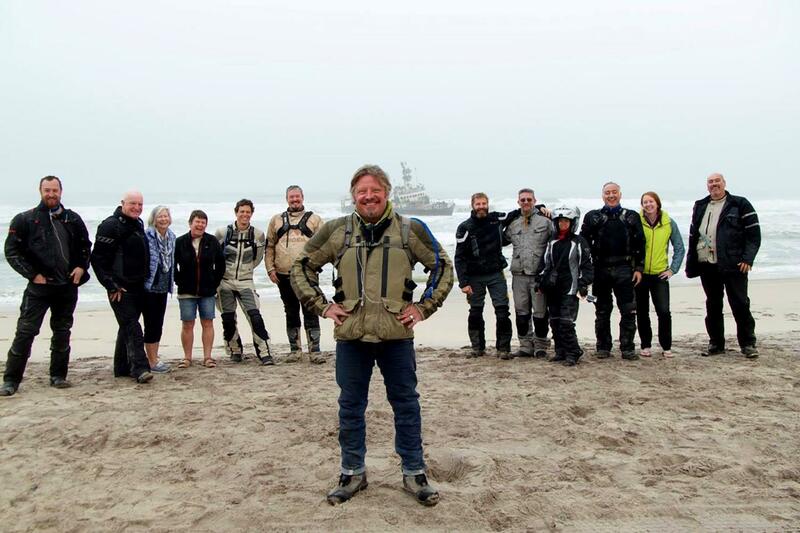 Riding with Charley Boorman – This is an experience! 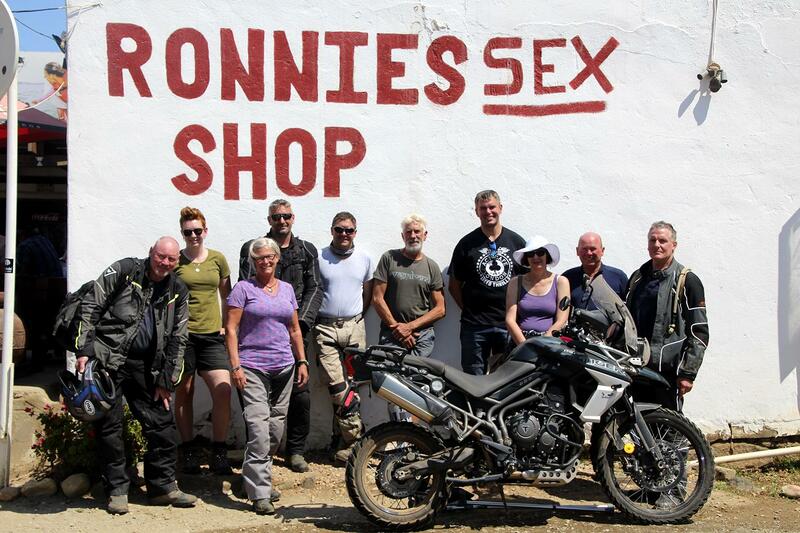 He’s fun and entertaining and it’s your opportunity to hear all the back stories from Long Way Round. We’ll have an evening with Charley – a mini ‘show’ where we’ll hear all about his career and you’ll have an opportunity to ask questions and get to know the real Charley Boorman. Charley will be riding the trip and supported by Billy, will also run a session on ‘Gravel Riding‘ – sharing his knowledge and expertise over the years. This session will also help prepare you for the tracks of Africa. We make sure that your African experience is optimal with recent model, low mileage, BMW motorcycles, two support vehicles with the capacity to carry a spare bike and passengers, a mechanic and qualified paramedic along with a full complement of spare parts and a professional medical kit to keep you and the bikes in order and give you peace of mind to enjoy the experience. Join us for what will be an amazing ride! Riding with world-renowned motorcycle adventurer, Charley Boorman. FGASA Field Guide – Billy Ward. 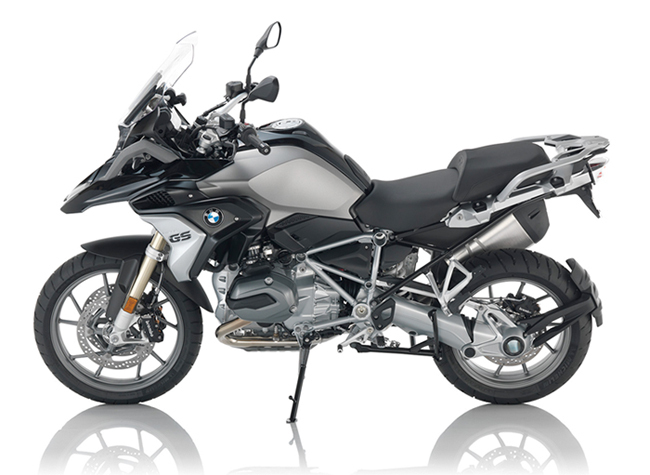 Motorcycle rental – Late model, low mileage, BMWF800 GS, F800 GSA R1200 GS or R1200 GSA. Two support vehicles with passenger carrying ability, trailer, a spare bike, spare parts and Mechanic. 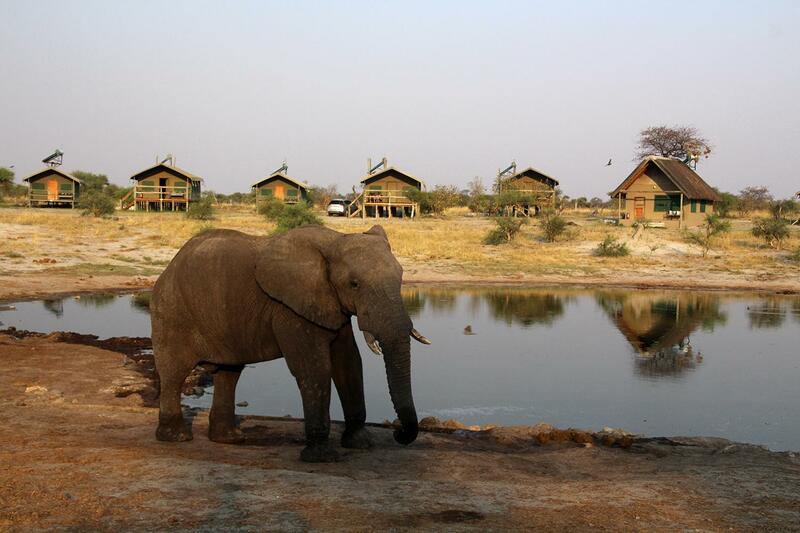 16 nights of luxury accommodation in excellent small hotels, remote African wildlife lodges & the 5-star Victoria Falls Hotel. 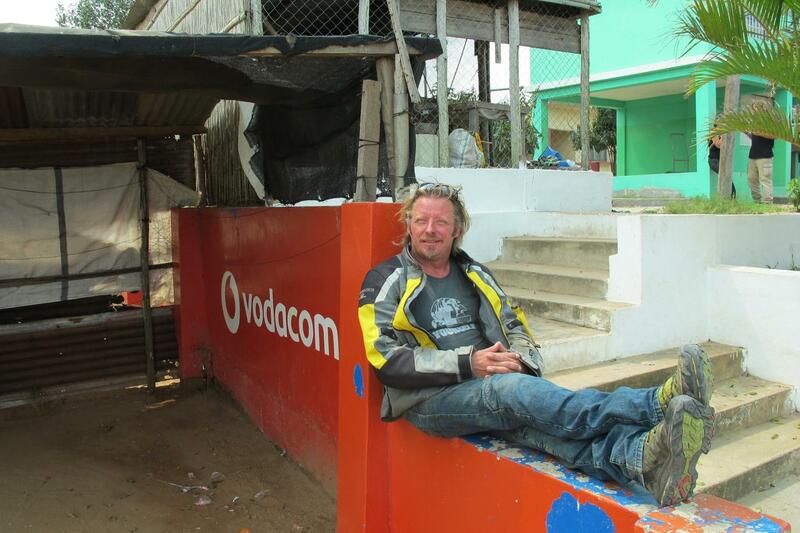 Services of ride leaders (Charley Boorman and Billy Ward) and support vehicle driver (mechanic). Services of a qualified paramedic equipped with a comprehensive, professional medical kit. Our motorcycles are insured and have a damage excess of US$ 1500, this amount will be held via way of a bond on your credit card for the duration of the tour. Day 1: Your Victoria Falls airport transfer will take you directly to our joining hotel. Our hotel is the just a few minutes walk away from the actual falls and the famous Bungee Jump over the great Zambezi river. The town of Victoria Falls sits on the border with Livingstone in Zambia and is a fabulous place to hang out for a couple of days. There are so many activities you could do, we’d recommend you plan a day or two here before starting you tour – you won't regret it. 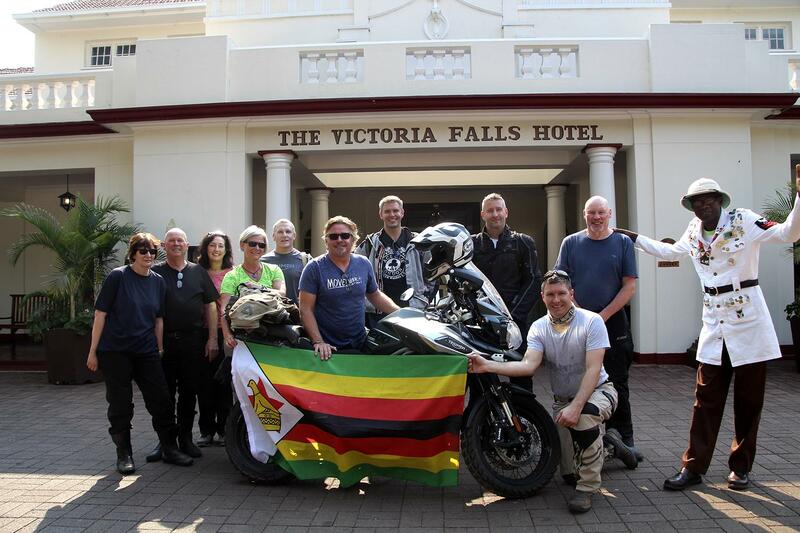 Day 2: The day will start with an overview of your bike, we then leave Zimbabwe and head into Botswana. The border crossing is small, but can still be tedious and slow – such is the way of Africa – it’s African Time or TIA as they say! Borders are never easy, but certainly an experience! Day 3: Long straight roads are the order of the day today. We're heading south towards the South African border post at Martins Drift. 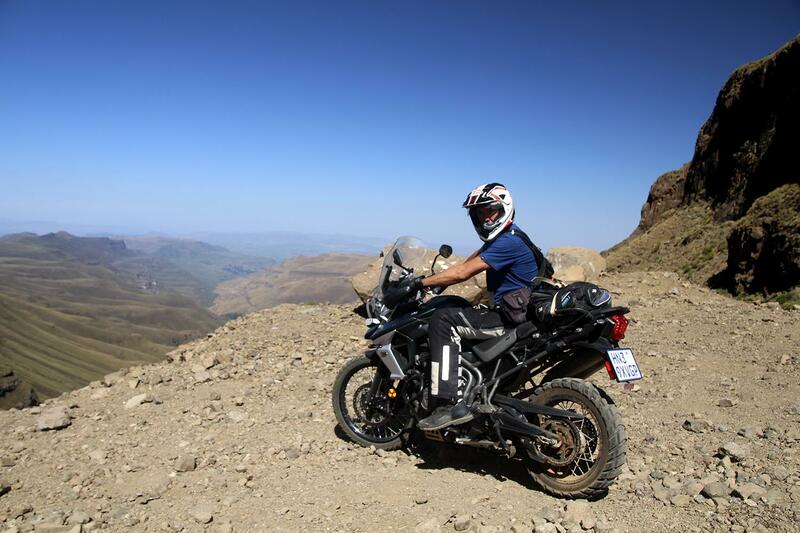 Day 4 & 5: We continue our ride south and cross the border at Martins Drift into South Africa. Once in South Africa we'll be riding through the Waterberg Mountain Range, through Limpopo Provence. Two nights will be spent at the Irene Country Lodge allowing us to to visit the nearby Dinokeng Reserve legendary for its Big 5 game. Day 6: Today we will cross the border into "The Kingdom in the Mountains", Lesotho, which is essentially an alpine country with an alpine climate! Day 7: Himeville is today's destination via the renown Sani Pass and reputedly the highest pub in Africa. The route is full of adventure and although short in distance, it can take a long time to ride. Day 8: Today we’re now heading to the only ski resort in South Africa – Tiffindell. The off road route up to the lodge can be challenging, but we have a few options on it. We’re still very close to Lesotho – just meters away from the sheep fence that separates the two countries, as our route skirts right along the southernmost border of the Kingdom. Day 9: Leaving Tiffendell we exit via an easier gravel route to the lovely village of Rhodes. We're now heading southwest towards the coast riding through predominantly farmland tracks. Our overnight stay is Hogsback. 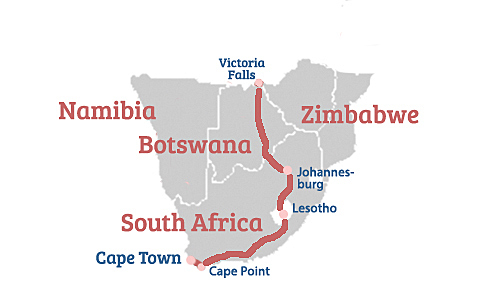 Day 10: We'll visit a private motorcycle collection before continuing on our journey, starting on pavement to Fort Beaufort and then gravel to Alicedale. We overnight at the Zuurburg Mountain Village and visit Addo Elephant Park where a safari has been organized. Day 11 & 12: This is a spectacular day of off-roading. 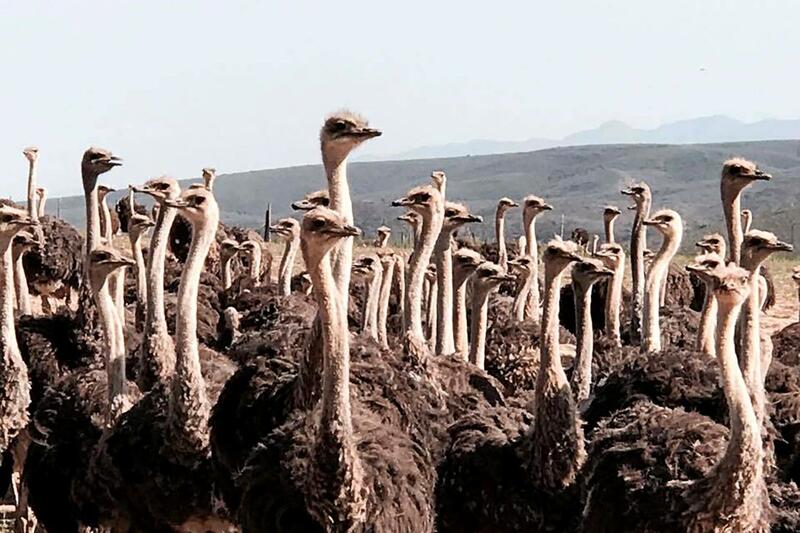 We leave Addo and head south to the famous seaside resort of Knysna situated on the renowned Garden Route via the stunning Baviaanskloof National Park. We spend 2 nights here in our boutique 5 star hotel allowing time to relax or explore the surrounds. Day 13: Traveling along some of South Africa's famous garden route and riding through the Western Cape, our destination is the relaxing 11,000 ha Gondwana Game Reserve where another game drive is awaiting. Day 14: We leave Gondwana the same way we entered, but this time turning to the west at the Herbertsdale / Mossel Bay junction. Our overnight stay is in the picturesque seaside village of Arniston perched above the roaring Indian Ocean. 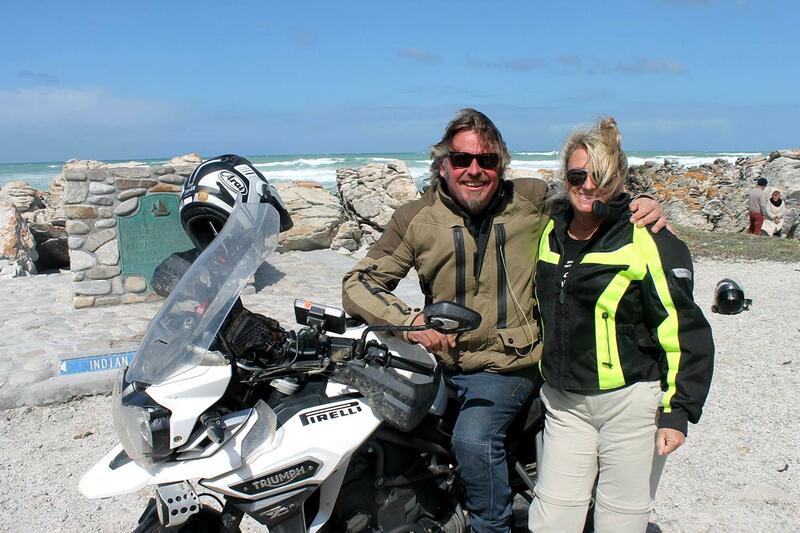 Day 15: Leaving Arniston we ride to the southernmost tip of the African continent, Cape Agulhas. From the Cape we continue onto Gaansbai keeping an eye out for whales and possible sharks, and the road of course, before reaching the Marine Hotel, our spectacular hotel perched high on a cliff that overlooks Walkers Bay in Hermanus. A whale watching excursion is included, weather permitting. Day 16: Today we have a fantastic ride along the coast to Cape Town. Before we arrive at our destination we'll get the chance to get up close and personal with the cheetahs at Cornellskop. As we close in on Cape Town we'll ride the famous Chapman's Peak Drive, awesome tar and even better views. Enjoy a celebratory meal & drinks with your new mates and Charley after an amazing & unique ride experience. Departure day: Spend some time exploring Cape Town or depart for home. 25% of this ride is on pavement; some sections of pavement can be potholed and narrow. 75% of this ride will be on dirt. Most dirt is hard packed, although there are sections that can have loose gravel, sand and can be rutted. Some off-road experience is essential for this tour, we highly recommend that if you do not ride off-road regularly that an Off Road Skills course would be of benefit to develop or polish your bike handling skills before this tour. On the more difficult sections pillions can travel in the support vehicle, space permitting. Please see "Info Kit" for a more thorough route description. 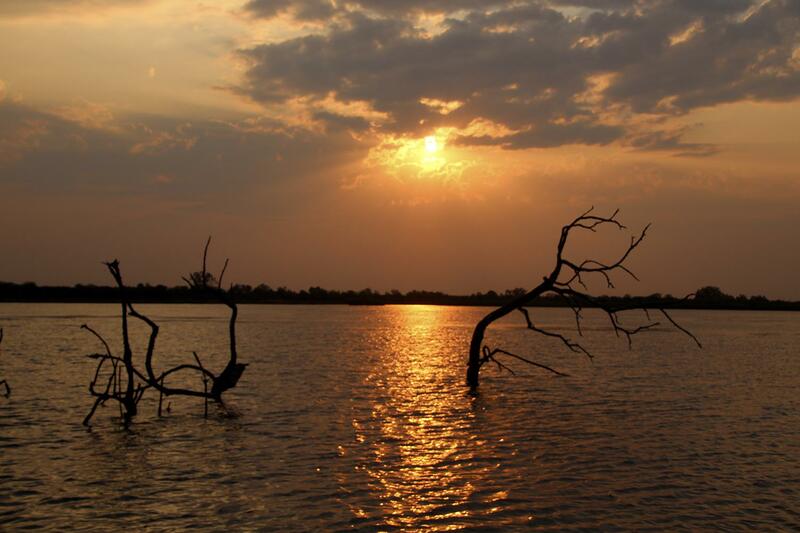 Starting off in Zimbabwe the days will be HOT mid 30’s Celsius / mid 90’s Fahrenheit, but with little to no rain. Riding further south into South Africa the temperatures will drop to the mid 20’s Celsius / mid 70’s Fahrenheit, but with an increased chance of rain and stormy conditions as we near the coast. It will be cold in the evening and as low as 6 Celsius / 43 Fahrenheit overnight especially in Tiffendell, South Africa. 16 nights of superior accommodation in luxury hotels and lodges. Our accommodations range from small family run hotels through to 5 star hotels. An experienced and qualified medic will be joining us and we always carry an extensive medical kit in case of injury’s, large or small. We will be utilizing two support vehicles to carry all of our luggage, equipment and other gear as well as to accommodate pillion passengers who may wish to have some time off the bike. 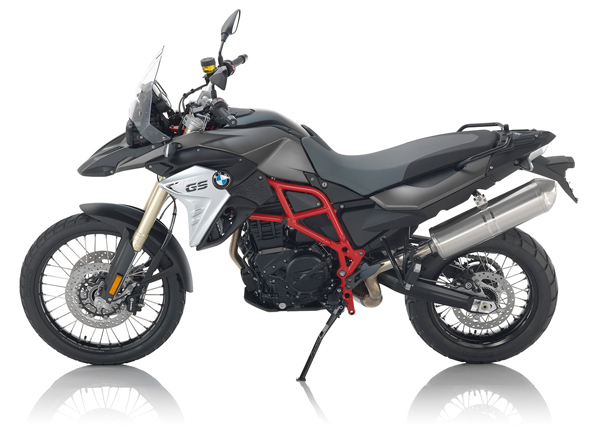 This means that the bikes will be traveling light without the weight of any luggage to be worried about. Billy “Biketruck” Ward, Charley’s Manager and good friend, who has recently qualified as an accredited FGASA Field / Bush guide will be on hand with all sorts of information and knowledge of the region and the wildlife that we will encounter along the way.